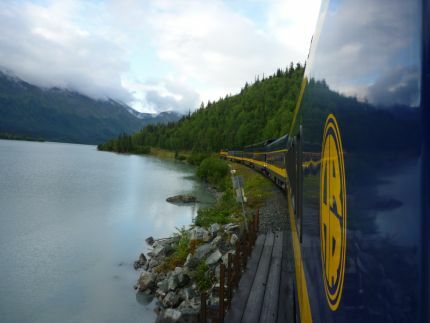 To finish off my Alaska series, I wanted to mention the journey between Anchorage and Seward via the Alaska Railway. 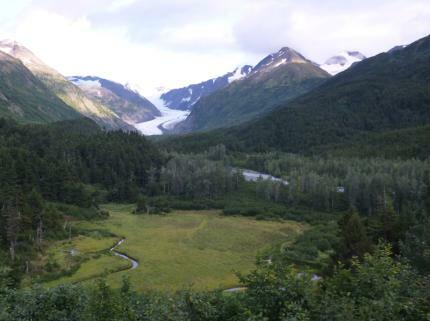 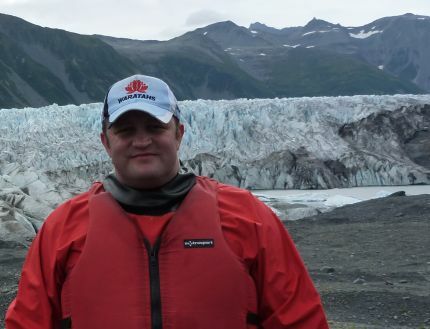 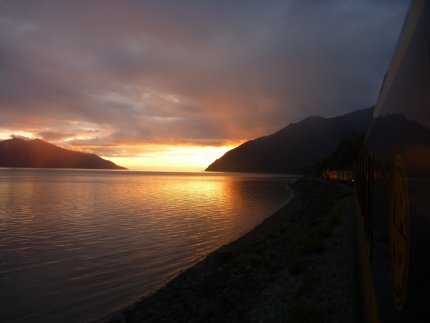 This magnificent railway trip, whilst for me a matter of transport to the watery beauty of Resurrection Bay, is also a tourist Mecca for visitors to see the wonderful mountainous and glacial landscape bordering the Harding Icefield. 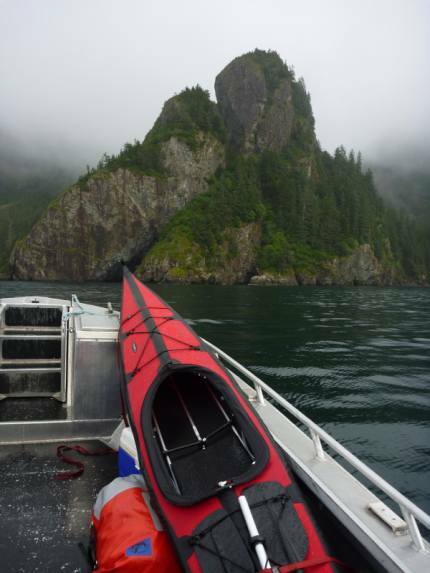 I had my Folbot Cooper folding kayak “Tabasco” in a backpack with me whilst speeding through the Alaskan wilderness, awaiting its maiden journey. 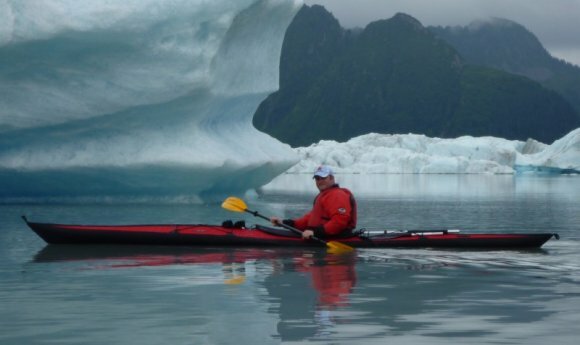 I was admittedly impatient to get myself, and my new kayak, onto the waters of this harsh yet beautiful place. 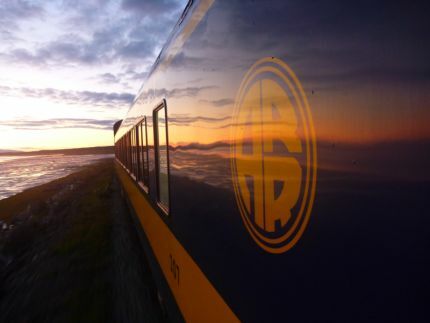 But even in this state I was drawn to the windows and the views of the incredible landscape, and moose, and trains smashed on the side of the tracks after the previous Winter’s avalanches!! 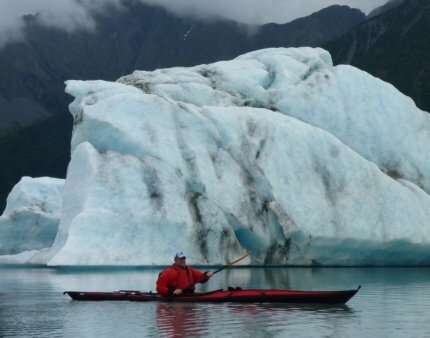 Opaque glacial lakes, and extremely cold water!